The Economics page of the OER site features six textbooks. Near half of the resources on the page are targeted toward Microeconomics and the other half Macroeconomics. 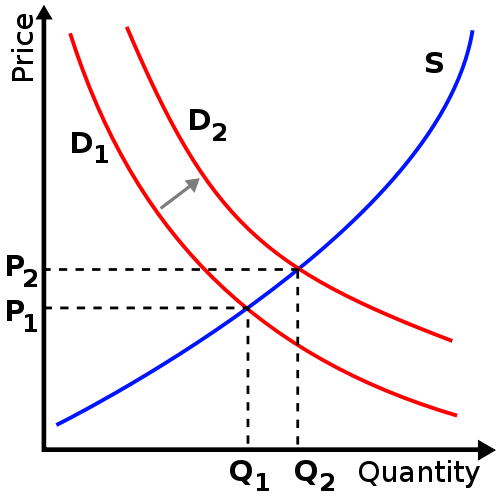 Principles of Microeconomics is used in the MIT course Principles of Microeconomics. It is what seems to be a very complete book, 1200 pages in Saylor formatting which tends to not be very dense. There are a few Saylor formatted Economics book on the site all of which I feel contain good content. I did my best on this page of the site to feature quality materials. There is actually quite a bit of Economics OER on the web. I did my best to filter out what appeared to me to be the best of that material. Personally, I do not know the first thing about Economics. I tried to keep this in mind when filtering out material that was not going to make it onto the site. I would hate to have rejected something that was actually deserving of being featured. This is why there is a lot of Economics material on the site. Those that did make it onto the site are there because I feel that they are presented in a professional way that any faculty member looking to adopt might be looking for as well. 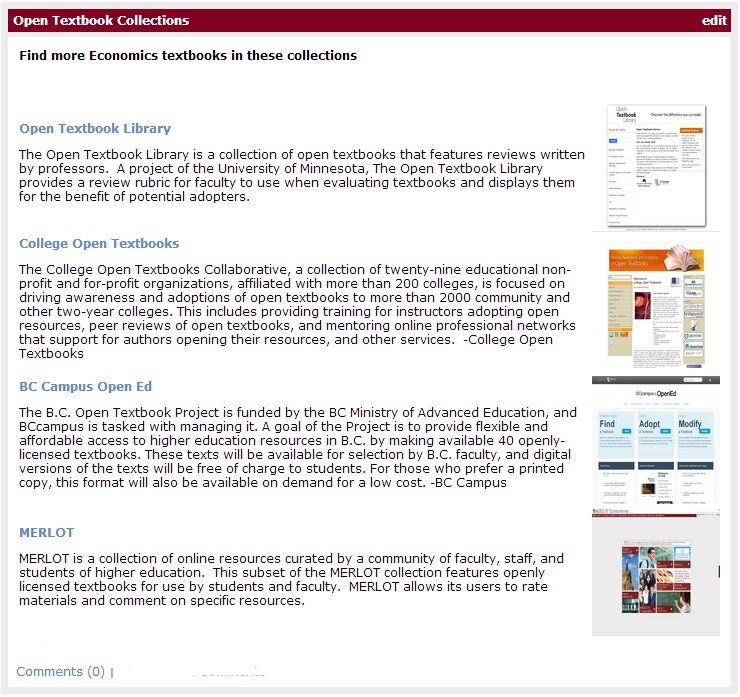 In order to deliver the maximum number of resources to those searching for them, Stacy and I decided to include a number of OER collections on the page. That is, Open Textbook Library, College Open Textbooks, BC Campus Open Ed, and MERLOT are all great places to begin searching f or OER. When I start searching for OER in a new subject area these places are where I begin. Depending on which page of the site you are on, the box at the right links to that specific collection’s content on the subject you are interested in. That is, if you are on the Economics page of the site, the links in this box will point you towards the Economics page of the Open Textbook Library, College Open Textbooks, BC Campus Open Ed, and MERLOT. We hope this gives those looking for OER through the OER site a less limited lens to search through. We realize that those searching for OER are the content experts and should not be limited in their search by those who are not. The intention is for us to highlight what we think are the best pieces of OER by both our opinion and suggestions from subject experts. While providing the links to large collections of OERs that we use while searching for items to put on the site.